Adobe Captivate makes a hard impression with its astonishing features in its new release, Adobe Captivate 2019. A booming sought software, Adobe Captivate makes a hard impression with its astonishing features in its new release, Adobe Captivate 2019. The most buzzing feature in eLearning industry which is Virtual Reality is now available in this tool and makes your project stand apart. 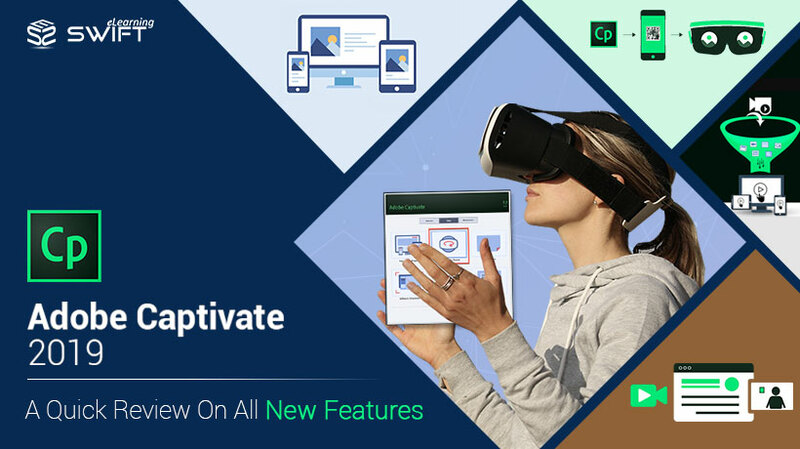 In addition to virtual reality, Adobe Captivate 2019 released a set of new and enhanced features to develop eLearning courses effortlessly and thrives the learner’s retention. 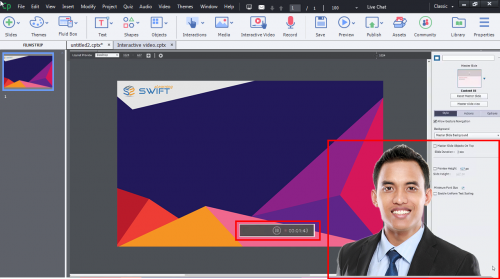 Let’s have a quick look on New Features of Adobe Captivate 2019. Now it becomes handy to create an immersive learning experience courses with the new virtual reality project. 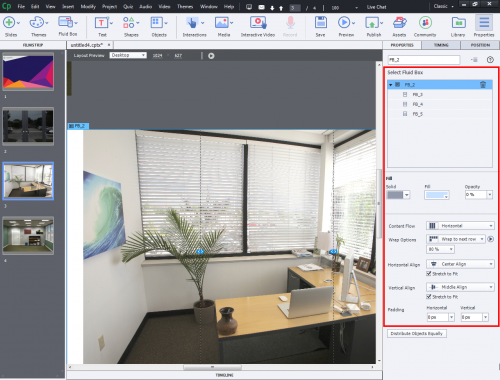 Import 3600 images and create a seamless virtual reality project. By using VR glasses learner can experience virtual reality and engage with near real-life scenarios. You can create a perfect interactive environment by integrating interactive elements like hotspots. 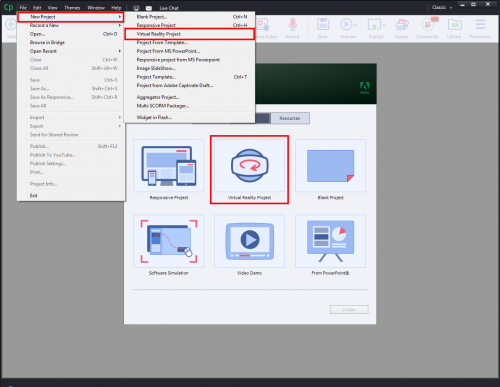 In the earlier version, Adobe Captivate introduced a device listing preview feature to view your content in different screen sizes. This feature got updated and now it has come up with slider option to preview the content. It also has layout preview button, where you can see your content automatically change position and form across the full spectrum of device sizes with a single click. 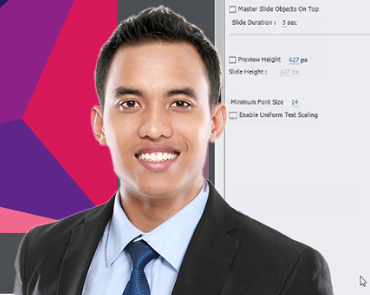 Transform your mp4 videos or existing YouTube videos into interactive video-based eLearning. Add quiz and knowledge check at specific areas in the video and evaluate the user performance. Also, you can add bookmark on the timeline where user will be redirected to the bookmarked timeline when they fail to finish the activity. You don’t need to be a green screen technology expert to remove the background. With this new feature you can personalize your videos with few clicks and add images or videos as background. You can use the media that comes along with the Adobe Captivate or choose your own. 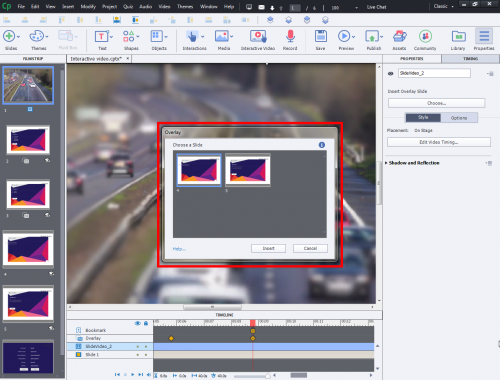 With this built-in feature in Adobe Captivate 2019, you can create a video demo using screen capture and webcam simultaneously. You can also add interactivity and edit the videos in multi-screen video based learning. Now you can check your elearning courses how exactly it is playing in the VR devices with the all-new Live Device Preview feature. You can preview all your courses in your device once you establish the connection with the Captivate. 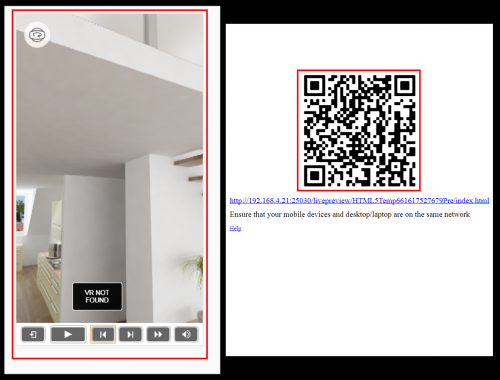 This could be done by generating a QR code in the Captivate 2019 smart authoring tool that you can scan using the QR scanner app in your mobile device. 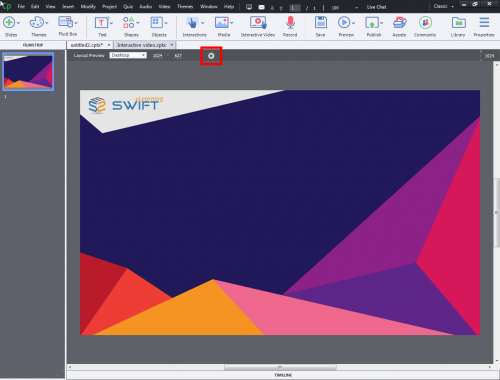 Converting PowerPoint to Responsive eLearning has never been so easy with this new feature in Captivate 2019. 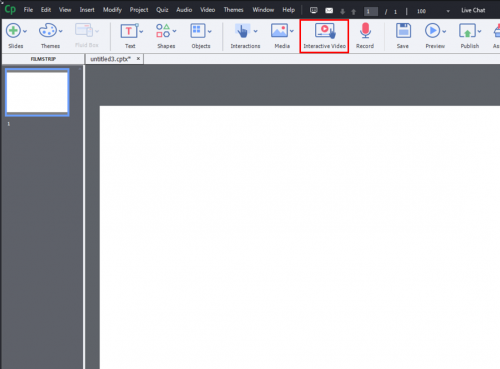 PowerPoint content slides adjust itself to the screen size and makes it more responsive to the learners. Therefore you can transform static slides into interactive learning slides with few clicks. 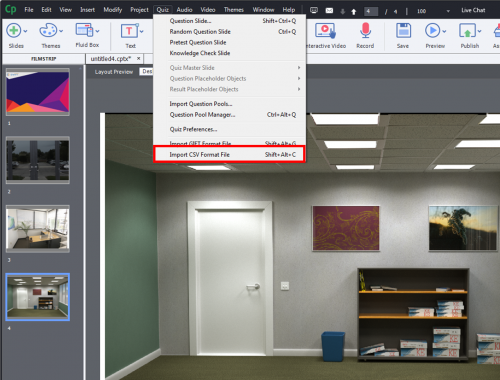 This is an upgraded feature in 2019 release of Adobe Captivate. With this advancement, your content scales up automatically and align across device sizes. In addition, you can customize fluid boxes by wrap up options, view parent-child relations, distribute objects equally in the properties inspector and also set alignment for static fluid boxes. A standard format of adding interactive questions is now replaced with the new CSV Question Import Template feature. A sample CSV file will be given in the assets folder where you need to copy it in your project folder and follow the instructions as mentioned in the file. Add the questions and finally upload in the Captivate project. Or you can populate the questions in macro enabled excel sheet and generate a CSV file from it. The main advantage of this CSV file is to import bulk questions into your project that saves development time. The traditional video might convey the right information, but doesn’t evaluate the learner performance. But with Overlay slides in Adobe Captivate you can convert your recorded or streaming videos into interactive videos for user remediation. Maximize the learning space by integrating with the feature, 360 slide. 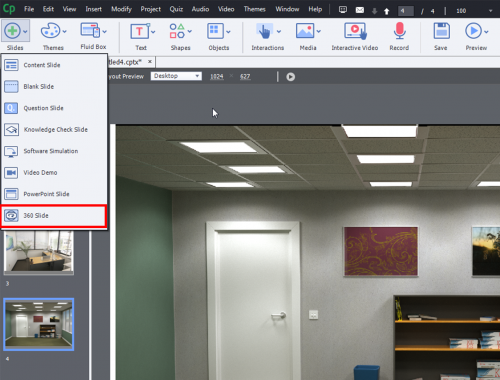 With this feature, you can add 3600 images to the slide and also interactive elements like hotspots to enhance the user learning experience. Hope these features will help you to create rapid eLearning courses to meet the learner specific needs. 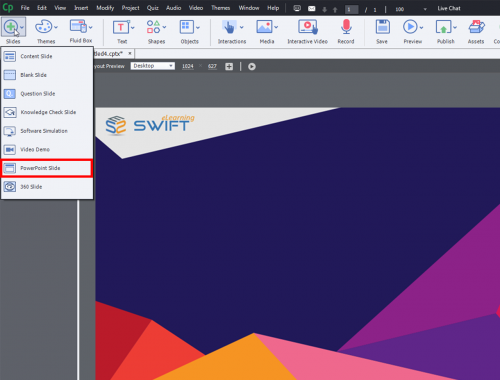 Adobe CaptivateAdobe Captivate 2019Adobe Captivate Updateadobe fluid boxesconvert to responsive designeLearning Authoring tooleLearning courseelearning developmentquestionresponsive elearning developmentVideo-based learningWhat's new?